Parkinson’s disease is a long-term progressive disease that affects the central nervous system in relation to a person’s motor skills. 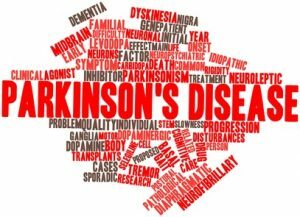 While no outright pathogen or abnormality causes Parkinson’s disease, scientists are still working hard to understand the disease. Deep brain stimulation – this is where physical therapists at New Beginning Physical Therapy will use a device to send electrical pulses to your central nervous system through your brain. These pulses will block any nerve signals that cause Parkinson’s symptoms. Although not a full treatment deep brain stimulation is among the most effective treatment available. New beginning physical therapy in palm desert has invested in getting the best physical therapists in Palm Desert, CA so as to help you effectively control this disease.New Beginning physical therapy aims to deliver quality service as we try to help you through this trying time. Visit our center in palm desert California for the best Parkinson’s disease care.